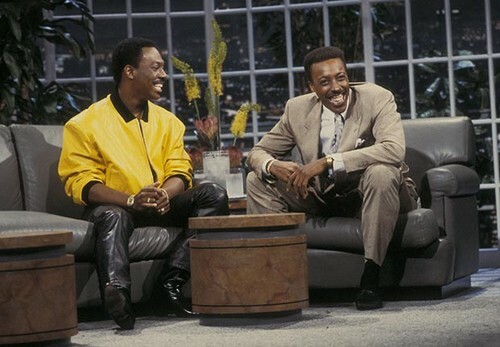 Arsenio Hall and Eddie Murphy use to be besties but it seems that’s not the case anymore. The two have been friends since starring together in Eddie’s movie “Coming To America.” The story for the movie was a originally created by and starred Eddie Murphy as an African prince who cames to the United States in hopes of finding a woman he could marry. Now that Arsenio is returning to television, partnering with CBS Television Distribution for a late-night talk show he has been looking for celebs to appear on his new show. So naturally Arsenio got the idea that he would ask his BFF Eddie to appear. However, much to his surprise Eddie said NO WAY! To find out all the details of why Eddie refused to appear on Arsenio’s new show and why the two are feuding now, head over to Yazmar.com – they have the scoop.